At Meineke, we take pride in setting ourselves apart from traditional automotive franchises. Though motorists dread bringing their vehicles to run-of-the-mill repair shops, many of them have no qualms about enlisting the services of their nearest Meineke Car Care Center. To keep your customers happy and ensure that they keep coming back, take care to give everyone who walks through your door the full Meineke experience. Many automotive franchises have a reputation for being curt to customers and dismissive of their questions and concerns. Alternatively, Meineke strongly embraces the notion that the customer is king (or queen). Every client that enters your location should be warmly greeted and have any questions or concerns politely addressed. Furthermore, when explaining complex automotive issues, your mechanics should never exhibit condescension or talk down to customers. When your mechanics tell a customer that a job is going to be complete by a certain date and time, it’s vitally important that you stick to it. Traditional auto shops have an unfortunate tendency to ignore deadlines and keep clients waiting indefinitely. At Meineke, we may every effort to avoid delays and return cars back to the customer in a timely manner. Meineke strives to keep its prices competitive. 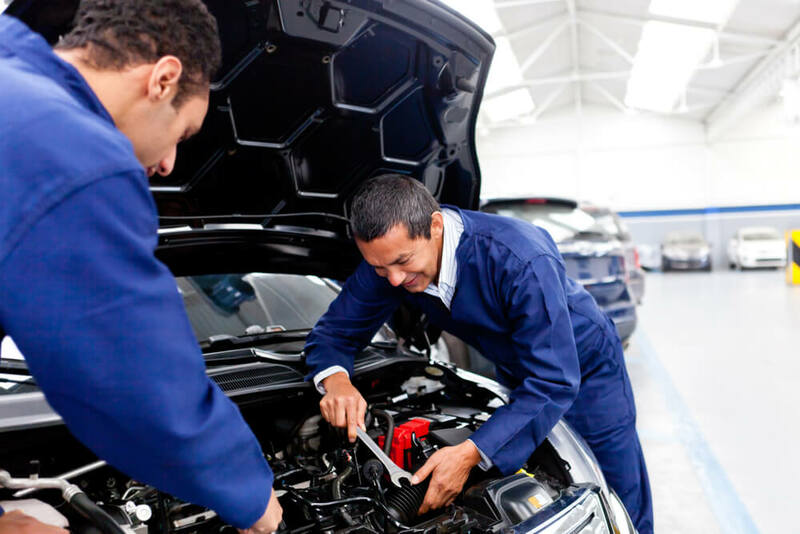 While other auto shops are notorious for making up prices on the spot, we have predetermined prices for all of the repair and maintenance procedures we offer. Additionally, once a customer’s information is entered into our system, they’re automatically signed up for our monthly circular, which is filled to the brim with convenient coupons. There are countless qualities that distinguish Meineke Car Care Centers from standard repair shops. As a Meineke franchisee, it greatly benefits you to uphold these traits at your respective shop. Showing courtesy, exhibiting timeliness, and providing customers with abundant savings will guarantee their satisfaction and ensure repeat business to your car care center.